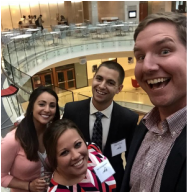 Welcome to The Young Supply Chain Professionals of St. Louis!  The Young Supply Chain Professionals (YSCP), established in 2013, is a new networking organization focused on hosting monthly events across the Greater St. Louis Area. 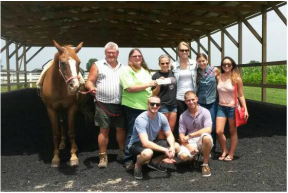 As an auxiliary subsidiary organization of the Transportation Club of St. Louis, YSCP combines networking with giving back to the community and extending professional resources to our members. This group encompasses all aspects of the Supply Chain, targeting young professionals between the ages of 21 to 39. Including, but not limited to logistics, procurement, engineering, management, sales and transportation. While acting as a non-for-profit, each of our monthly events focuses on highlighting a local business and channeling proceeds to various local charities. This group is for young professionals that want to network, increase their business acumen and socialize with other like minded individuals in the St. Louis area. There is no membership fee. Put simply, YSCP is a group of driven young professionals who explore different bars around St. Louis, give money to local charities, and enjoy building relationships with other like-minded, young professionals... Come out, grab a cold one, and grow your network! We hit a new location & sponsor a new charity every month. Make sure you know where we're heading next!